For fish lovers or for those who want to delve a little deeper into the Turkish traditions, A must visit in Izmir is to go to a fish market. Are held in almost all coastal towns adiferentes morning. The truth is that it's all a show. 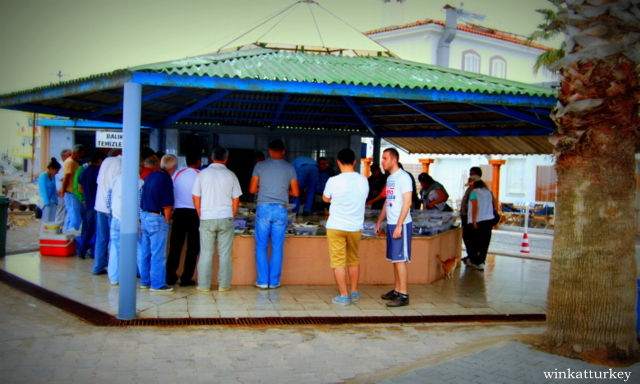 Every day of the week at 10:00 Morning in the Iskele the Urla begins a fish auction in the small market. It is recommended near it before the time, starting at 9:30 to take a look at gender to be auctioned. 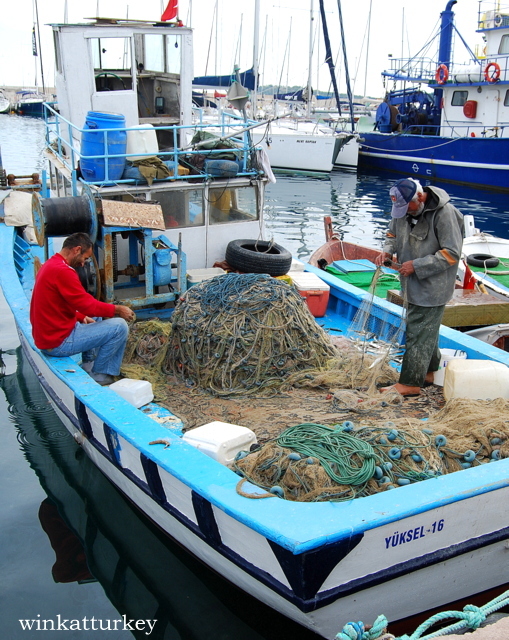 Each day the fish supply is different, depends on what the local fishermen have caught last night. 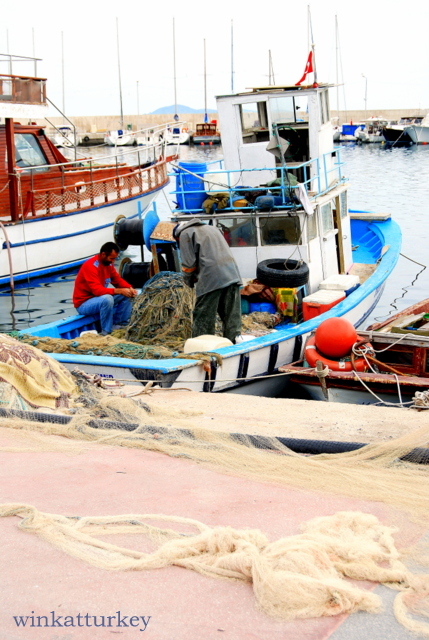 If you go early you can watch as fishermen leave the fish in the fish market and start working on their boats, preparing the nets for the next night. Always willing to dedicate a smile when we approached them. A job that is worth seeing. One can not get thinking about the fish you will buy, because unlike other places, here we can only buy fish that is caught last night. Seasonally, by day, by time, gender is different. A few days much, others not so much, sometimes huge pieces, others less so. But I recommend you to , fresquísimo, While many times live and quivered. Once sin has been left in the auction, is spread on trays, weighed and a price is set out. The trays do not have to have the same type of fish or shellfish, are often mixed. You can not buy fish lost, but to wait and buy the whole tray. It is therefore advisable to approach before the start time carefully to see what we can interest. It is also interesting to see the whole process of preparation. 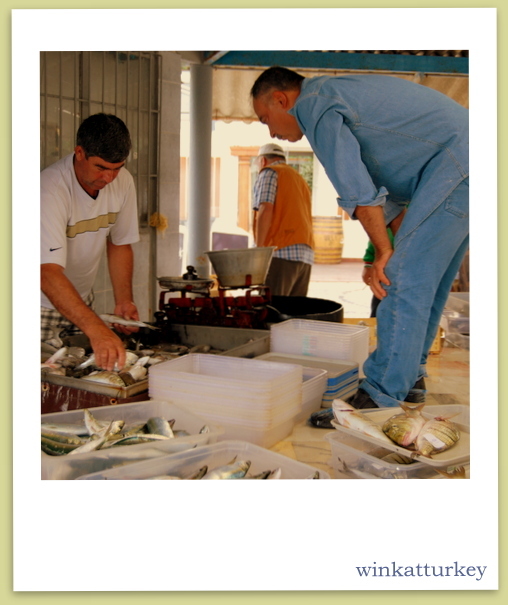 At 10:00 fish auction begins, the procedure is very simple. A man stands up on the platform begins to take one by one all trays, put a starting price, si te interesa, just raise your hand and if no one is more interested, Yours will. If someone else wanted the same tray, raise his hand and say the price you would pay and so on until no more. Once you have the fish, There is a small hut where we can if we want to clean for a small fee. Generally, most public is male, but always find some housewife or a nearby restaurant staff who come here to buy fish. 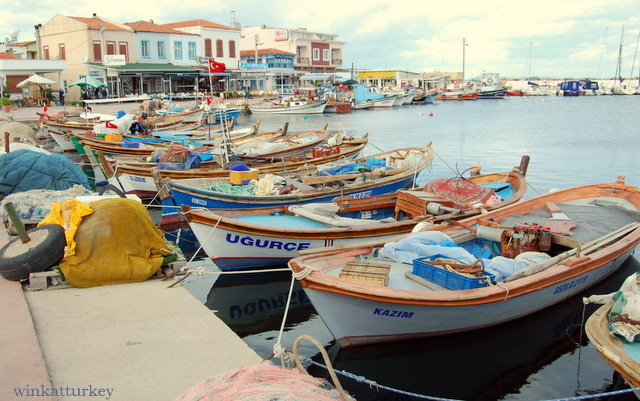 The fish in this area is outstanding Aegean. The truth is that one should not leave without tasting the fish. 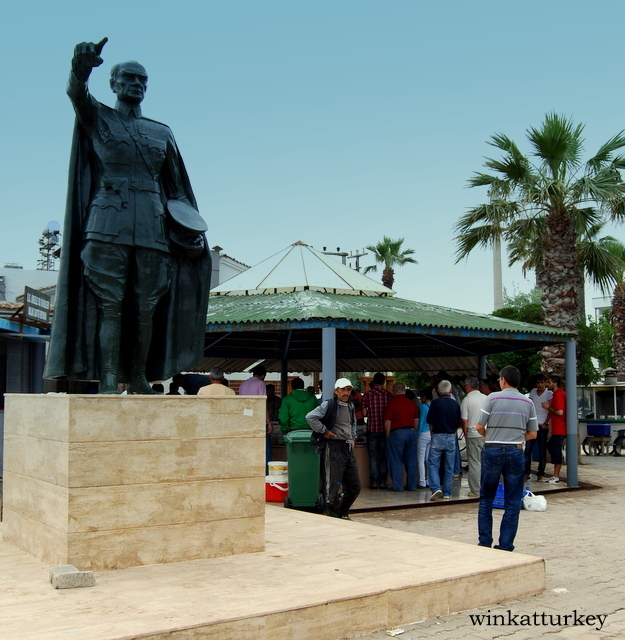 Establishment where the fish auction held, of course the statue of Ataturk plaza.Esta chairing the auction is nothing Desk, is a very real place, where one can participate or just watch a daily act of locals. 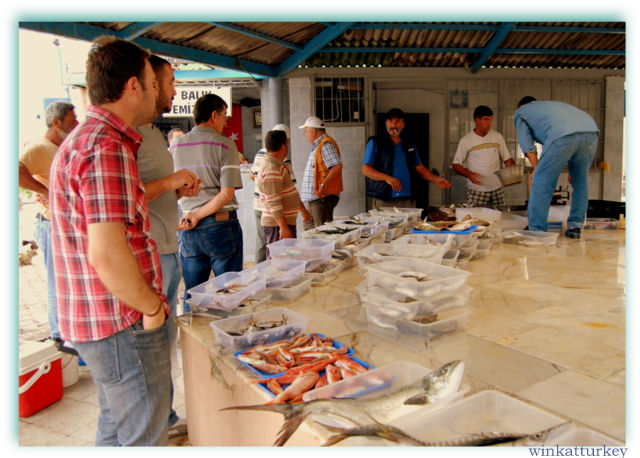 After seeing this curious fish market, one can take a walk by the sea, desde Iskele a Çesmealtı enjoying the sea and landscape. Even a great option is to eat at any of the restaurants and small bars in the area. ¡¡¡Wow!!! 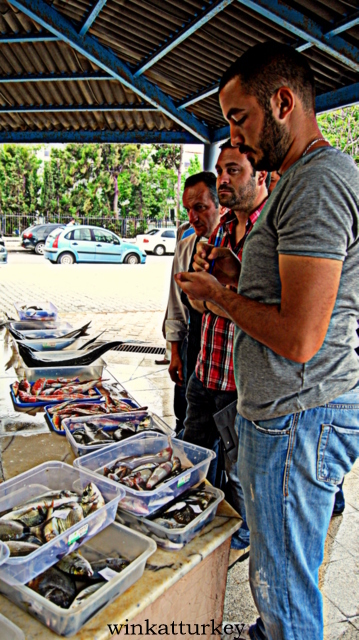 Location Izmir a few months ago and have never been to a fish auction…Thanks for the valuable information blog!